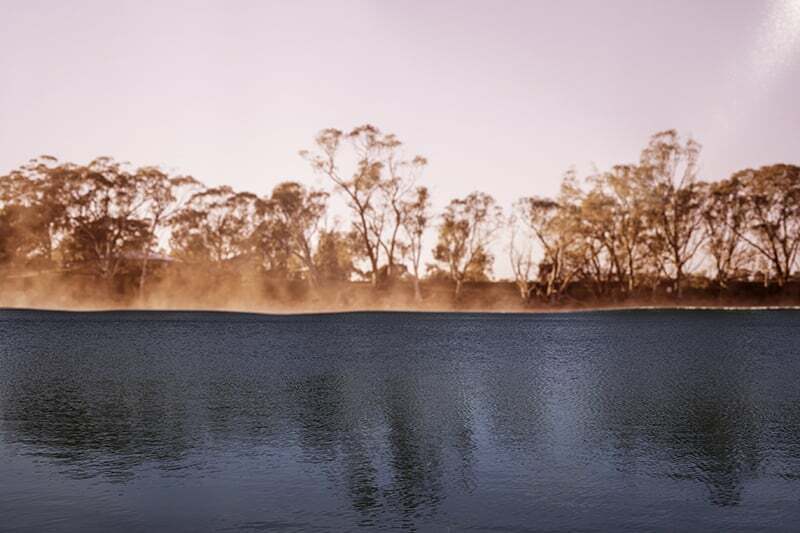 Undercurrent is a solo exhibition by Bangerang artist Peta Clancy, featuring a series of photographic works created in collaboration with the Dja Dja Wurrung community. The works reveal hidden massacre sites that have since been drowned due to subsequent colonial occupation of the land and disruption to the natural waterways. Through a process of cutting into and tearing the photographs Clancy references the emotional, cultural and physical scars left in the landscape by Frontier Violence. The installation depicts layers of time and place to explore history and memory, uncovering the layers of colonial erasure. This series was created during a 12-month artist residency with the Koorie Heritage Trust funded by the Australian government’s Indigenous Languages and Arts Program. Waterfront is presented by Open House Melbourne as part of Melbourne Design Week—an initiative of the Victorian Government in collaboration with the NGV. Undercurrent is presented by Koorie Heritage Trust and supported by Open House Melbourne. Image: Peta Clancy (Bangerang), Undercurrent 1, from the series Undercurrent, 2018-2019, inkjet pigment print. Image courtesy of the artist.